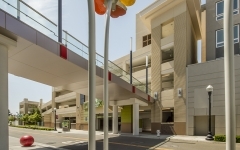 Taking cues from the vernacular architecture and pedestrian elements of Sunnyvale’s celebrated downtown Murphy Avenue, this project creates a powerful new City center. 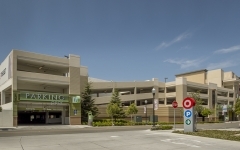 The project site was formerly a retail mall, with conventional anchor tenants and a sea of surface parking surrounding the center. The desire to return to the City’s original street grid lead the design to define several blocks that integrate 260,000 SF of office space, 922,000 SF of retail shops, 292 housing units, a multi-screen Cineplex, approximately 5,200 spaces of structured parking, and a 200-room hotel. 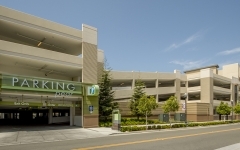 IPD is the Architect of Record for Blocks 1 & 2, and also Architect for renovation to the existing Block 5 parking structure. 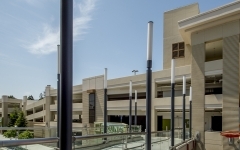 The development team is pursuing LEED certification for the entire project.